Attorney Gardner Combs speaks to Matthew Bolen before the hearing begins. Anna Bolton | Greene County News Attorney Gardner Combs speaks on defendant Matthew Bolen’s behalf. Leah Lind, her dog Willow, and supporters sit behind them. “Justice for Willow” supporters, with Leah Lind to the right, gather around the dog outside the courthouse. XENIA — For the first time, a man was sentenced in Greene County Common Pleas Court July 27 under Goddard’s Law, a two-year-old law in Ohio. The law enables prosecutors to bump up a causing serious physical harm to a companion animal charge to a fifth-degree felony. Matthew Bolen, 24 of Dayton, will spend 12 months in prison for abusing a puppy named Willow in Xenia last summer. A Xenia victim advocate, Leah Lind, adopted the dog. Bolen pleaded guilty to the offense in January. Bolen missed his sentencing dates in April and June; a warrant was issued and he was arrested in July. 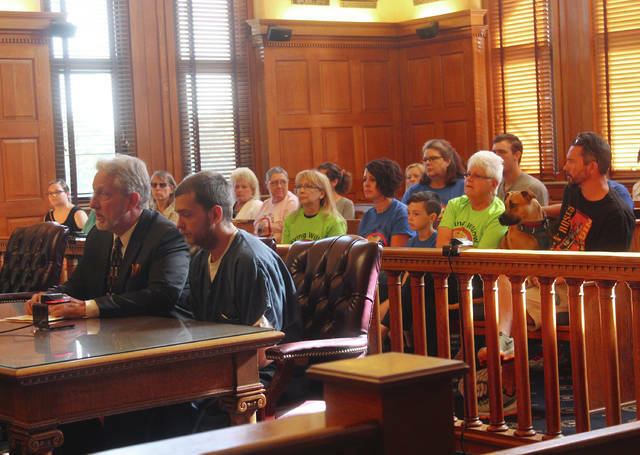 Lind, the dog, and more than a dozen “Justice for Willow” supporters sat behind Bolen as he addressed the court. The puppy has garnered widespread support from the community since the crime occurred. Wolaver explained he didn’t think Bolen would be a “good fit” for community control. “Not only did you skip bond once, you skipped bond twice. That’s pretty much unprecedented in this court,” he said. Wolaver said Bolen is forbidden to have contact with, owning or caring for any companion animals indefinitely. He also must pay restitution of more than $5,000. Combs declined to comment, but said he was sad about the case. Lind said she felt good about the maximum sentence. “I think that we needed to set a precedence in this county, this being a new Goddard’s Law case. And we did it,” she said. 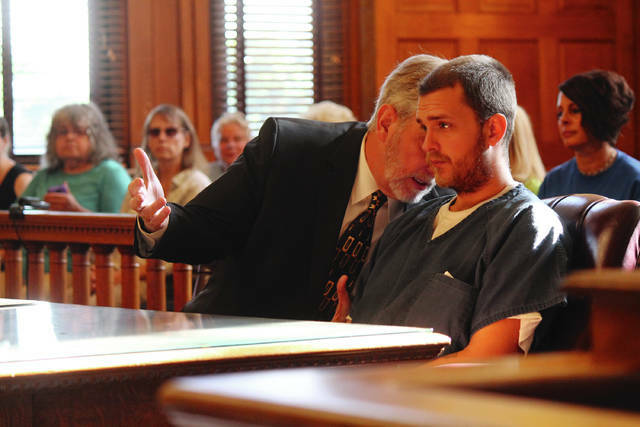 https://www.beavercreeknewscurrent.com/wp-content/uploads/sites/49/2018/08/web1_Bolen.jpgAttorney Gardner Combs speaks to Matthew Bolen before the hearing begins. https://www.beavercreeknewscurrent.com/wp-content/uploads/sites/49/2018/08/web1_Courtroom.jpgAnna Bolton | Greene County News Attorney Gardner Combs speaks on defendant Matthew Bolen’s behalf. Leah Lind, her dog Willow, and supporters sit behind them. 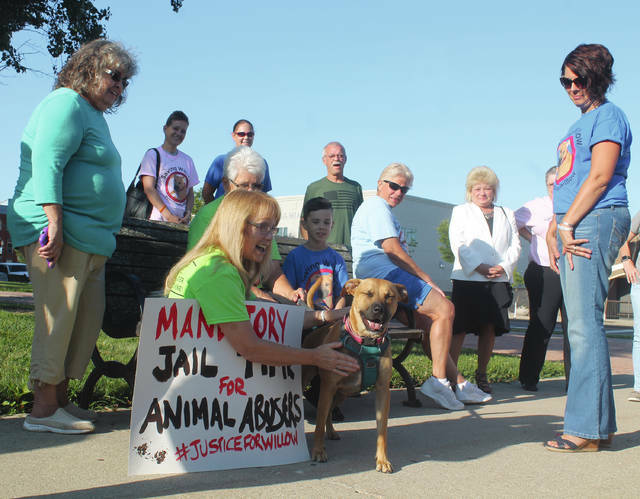 https://www.beavercreeknewscurrent.com/wp-content/uploads/sites/49/2018/08/web1_Willow.jpg“Justice for Willow” supporters, with Leah Lind to the right, gather around the dog outside the courthouse.